Severna Park Therapist: Jennifer Beall - Therapist 21146. Jennifer is a Licensed Clinical Professional Counselor (LCPC) and Licensed Clinical Alcohol and Drug Counselor (LCADC) in the state of Maryland, and a National Certified Counselor (NCC). She is also certified to administer the Myers-Briggs Type Indicator® (MBTI®), and is an EMDRIA (Eye Movement Desensitization and Reprocessing International Association) trained EMDR therapist. Many of Jennifer’s clients struggle with depression and low self-esteem. She encourages them to examine their unhelpful ways of thinking and feeling so that they can cultivate more accurate and positive images of themselves. She uses EMDR (Eye Movement Desensitization and Reprocessing) to help clients remove the emotional charge from traumatic memories. During Jennifer’s years in the alcoholism and addictions counseling field, she has developed a counseling style that addresses not only the physical aspects of addictions, but also the accompanying emotional and behavioral issues that can so often lead to relapse. Many of her clients have alcoholic and/or narcissistic parents and are still struggling with those relationships and with trusting others; Jennifer helps to create a safe atmosphere that is conducive to change. Jennifer is also a personality type consultant. She uses the Myers-Briggs Type Indicator® (MBTI®) and the Enneagram to help individuals and groups understand how their personality types affect their behavior and relationships. Jennifer has been married for 22 years and has an twelve-year-old daughter. 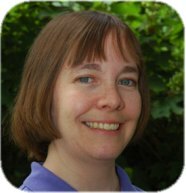 She offers individual, couples, and group counseling in the Severna Park/Annapolis area. She also offers e-counseling for clients who need or want to obtain counseling in the privacy of their home or office.